This is a mockup of an individual page I designed. 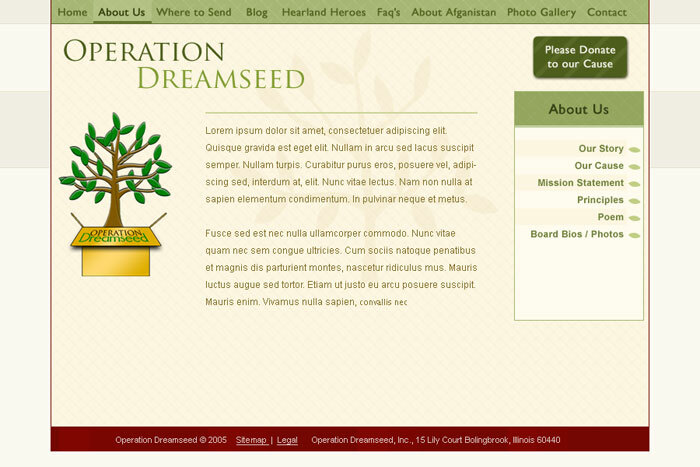 I approached Operation Dreamseed through hearing about their cause via a family member. They were in need of a new website and design. The cause is fantastic. Stationed in Kandahar, Afghanistan, soldiers give away gifts and donations such as school supplies to the children of Afghanistan. They rely on donations from the public and focus most of their gift gifting around education related material. This was a pro-bono project I took up years ago, and the site has since moved into different hands. 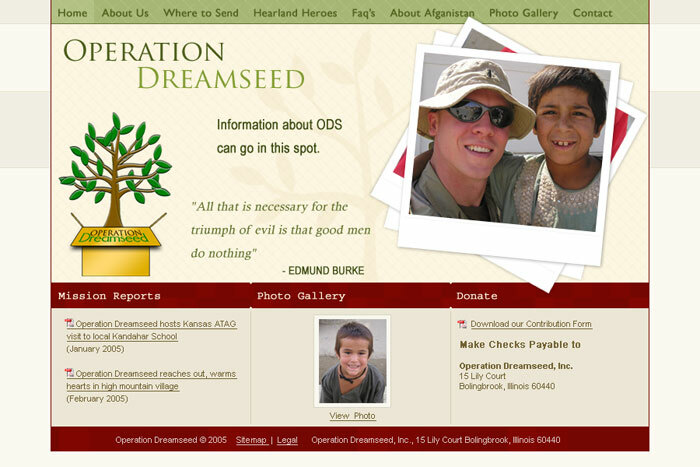 Even though the site design & code is currently not my work, I highly recommend visiting Operation Dreamseed simply for the cause.